SIMPLE LIFE is a HTML responsive template built in special for simple blog and small magazine, photography websites, but can fit a more wide business profiles. Bold and unique layout with many modules what can bring to life your different kind of content. 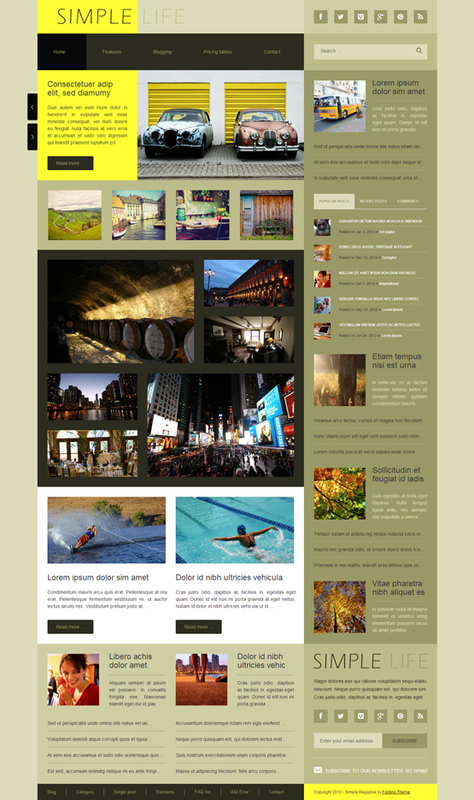 SIMPLE LIFE HTML template is great for that type of magazines what showcase art, graphics and creative artworks of any kind, where the master of the content is the images, not the text. The template modules let your creativity to chose whatever color palette you need, building contrast color layouts or simple blog type websites. The code is easy to be modified and is well commented.